I get excited about any DAVIDsTEA Collection, but my personal favourites are summer–for all the fruity herbals–and fall, for all the spicy warm teas. 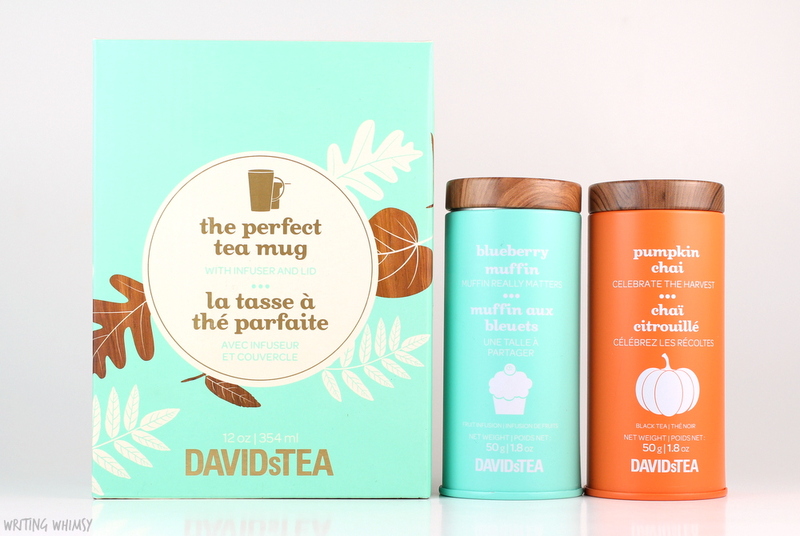 The DAVIDsTEA Fall Collection is now available online and I’ve been testing out a couple of the new products you’ll need to pick up for yourself. 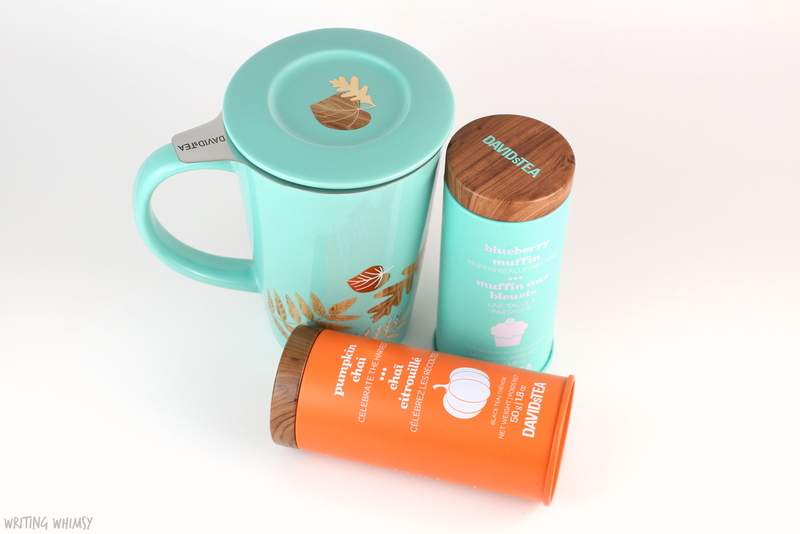 In addition to four new teas and one returning favourite, DAVIDsTEA has launched a large range of teaware for fall such as mugs and travel mugs, as well as different tins and packaging for the teas. There’s adorable infusers and even some new tea-scented products like hand creams to try. 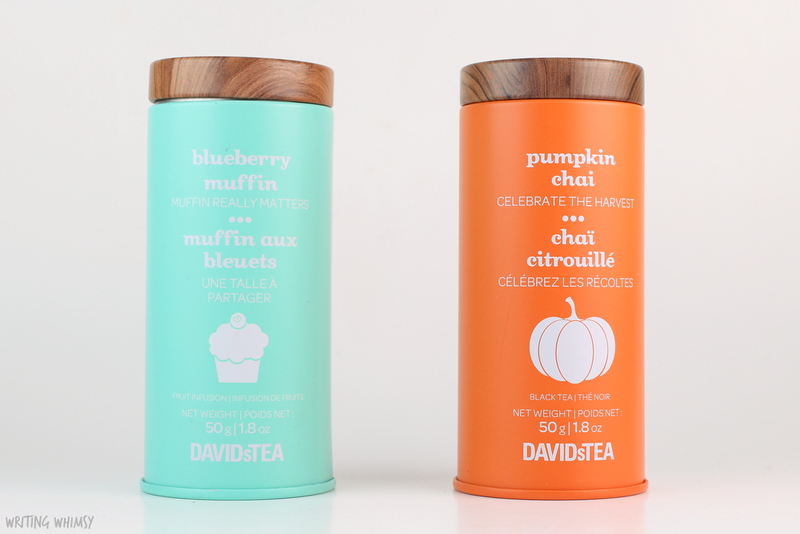 Although I received two of the fall teas, DAVIDsTEA Blueberry Muffin and Pumpkin Chai, in adorable tins to review, I’ve actually picked up all five flavours to try. 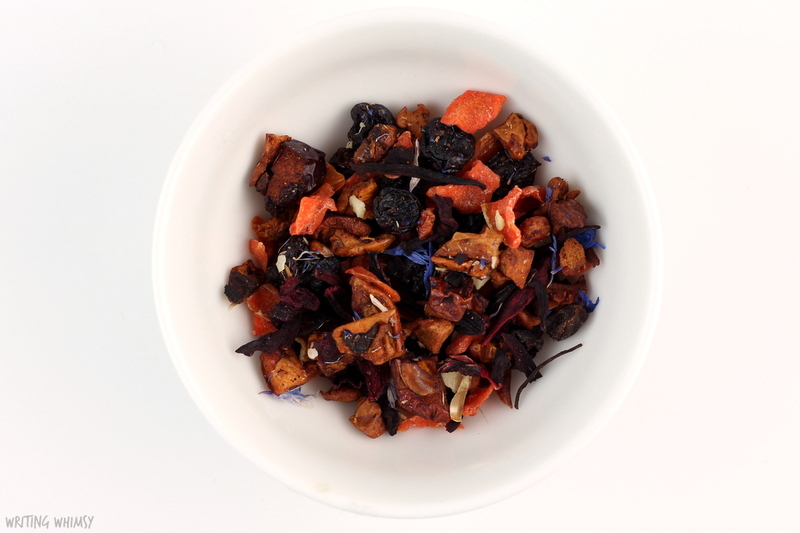 The fall teas also include Pom Cider, which is quite fennel-y, Nutty Granola, and Carrot Cupcake, which is a sweet rooibos I adore and have already purchased a bunch of. I drink a lot of herbal tea and those are always the ones I get most excited about when DT launches a new collection. The DAVIDsTEA Blueberry Muffin is a sweet juicy tea with ingredients like apple, raisins, carrot, hibiscus blossom, beetroot, yoghurt bits, blueberries and cornflower blossoms as well as flavourings.Even though blueberry is pretty far down the ingredient list, I definitely found that it tasted like a blueberry tea. This delicious tea is definitely a good “tea for people who don’t like tea” as well. 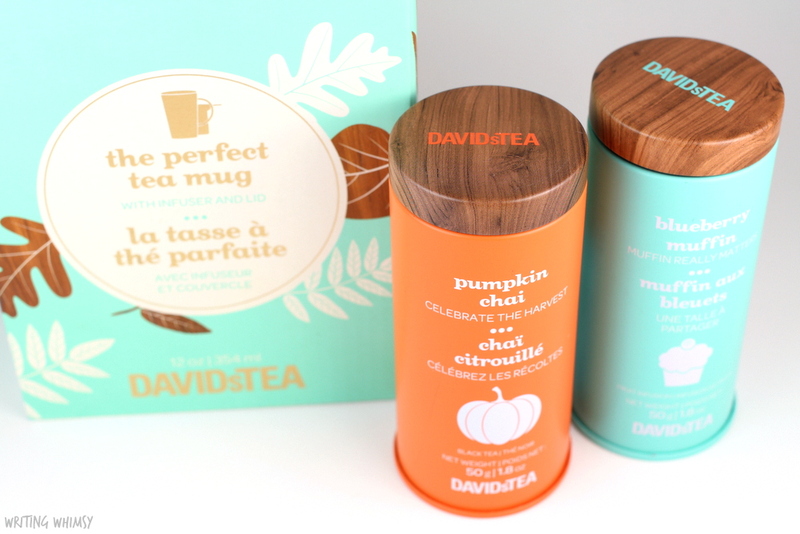 I’m always excited to celebrate the return of DAVIDsTEA Pumpkin Chai which I first reviewed back in 2013–yup, the blog is getting old. I shared this tea again last year along with a couple other pumpkin favourites, and I’m super sad that Pumpkin Spice has not been brought back. 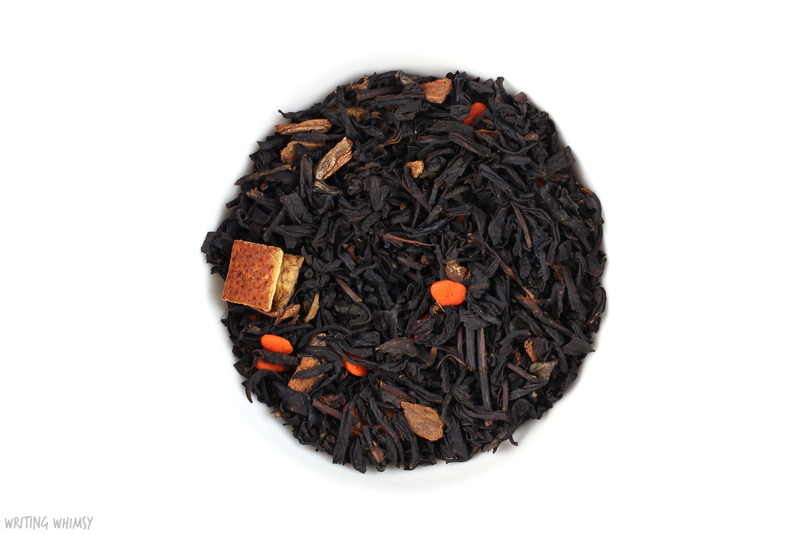 Luckily, Pumpkin Chai is just as delicious as I remember, it’s a black tea filled with pumpkin spices like cinnamon and cloves, there’s a hint of sweetness form caramel as well as adorable pumpkin candies. It’s warm and cozy for fall, and also makes a delicious latte. 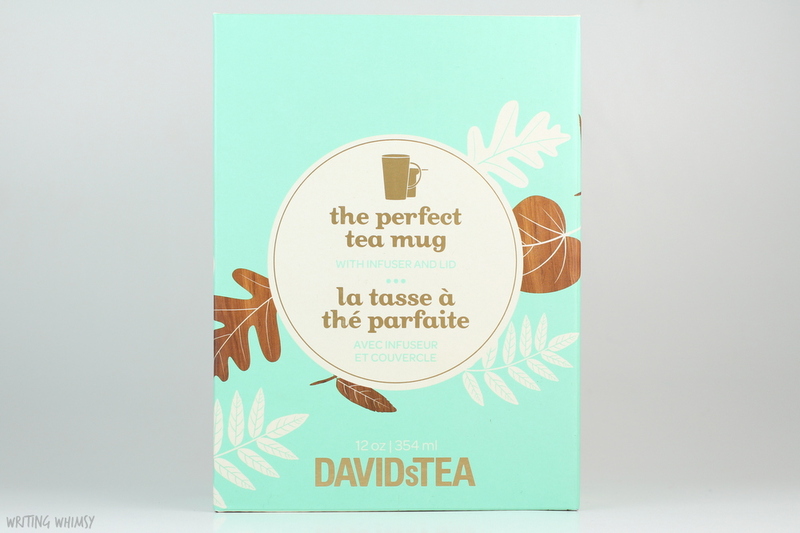 Of course, you want a gorgeous mug to brew all your lovely new fall tea in and the DAVIDsTEA Light Sky Leaf Perfect Tea definitely fits the bill. 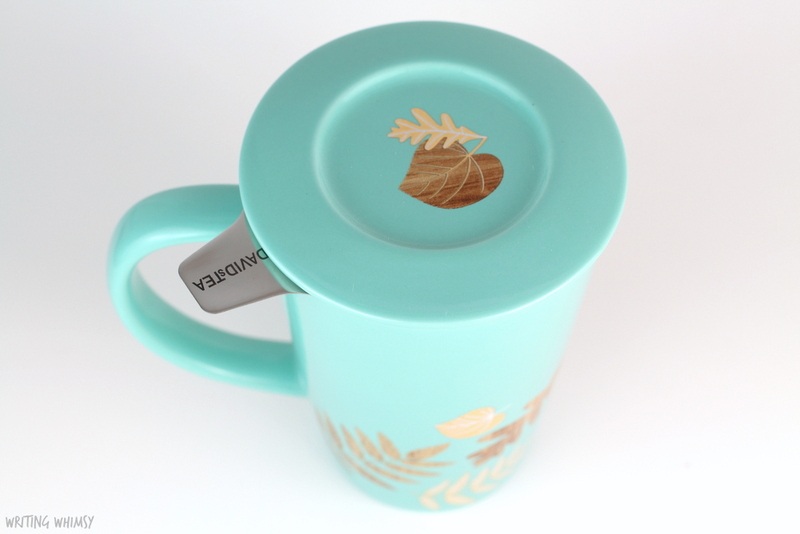 I tend to purchase the larger, Nordic style mug from DT, but the gold metallic and teal colours of this one may have just won me over the Perfect Mug after all. I really love anything fall-inspired and this mug is beautiful. 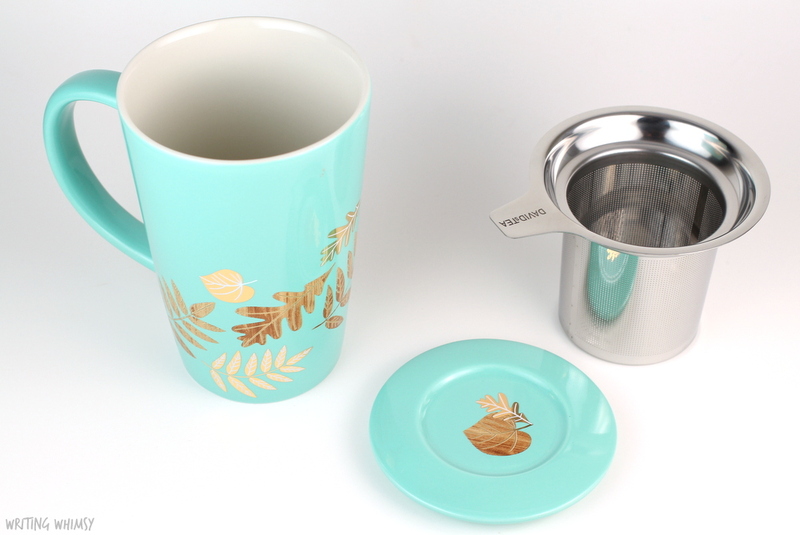 Plus, the fact that it comes with an infuser makes it ready-to-use on that cool fall day. Just writing this post makes me want to brew another warm mug of tea and cuddle up under a blanket! Whether you’re thrilled about returning favourite Pumpkin Chai or looking to test out the new and delicious Blueberry Muffin in a seasonal mug, the DAVIDsTEA Fall Collection is worth checking out! Have you picked up any teas from it yet? Also make sure you get Carrot Cupcake, IT’S DELICIOUS.